Peter founded Avior in March 2005. Peter spent two years in fund management at Coronation Asset Management, another two years in equity sales at Investec and five years in equity sales at Merrill Lynch. Peter is a member of the JSE. Kevin joined Avior in July 2005. He spent eight years at Investec Securities, FM rated in all roles. He started his career at Canadian Imperial Bank of Commerce, Toronto, where he worked for seven years on IT and financial product management. Kevin is a member of the JSE. Justin joined Avior in November 2017. 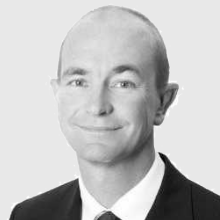 Prior to joining Avior he was the Head of Strategy at KPMG. 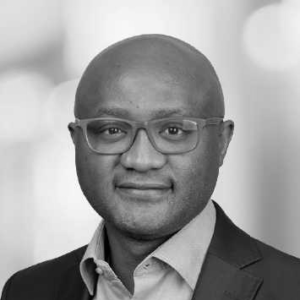 Prior to that his experience was gained both in the UK and South Africa in finance and transformation roles at several blue-chip banks, which included UBS, Renaissance Capital, Standard Bank and RMB. Ms. Ramplin has a background as hedge fund trader, investment banker with JP Morgan. She has served as technical advisor to regulators both locally and internationally, including the FSB and National Treasury. 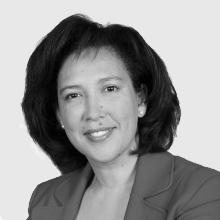 Marilyn is the founder of Hedge Fund Academy in SA and globally recognised as a specialist on credit counterparty risk and advised clients such as the Bank of International Settlements. Board and committee positions include Investment Solutions, JSE Clear, Strate, various Ashburton Investments entities and RMB CIS Manco. Mr. Price has extensive experience in the financial services industry and spent approximately 19 years with the Alexander Forbes Group, during which time he served in various roles across investments and operations in both SA and the UK. He was actively involved in building one of the subsidiaries of the AF Group (Investment Solutions, now AF Investments) into a dominant investment business. He has served on multiple boards both locally and in Jersey and was part of the listing and de-listing of the AF Group. His is experienced in leading large teams, developing and executing strategies and managing complex legal entities from a financial, operational, regulatory and transformation perspective. Mr. Mokgatlha was the CEO and Executive Director of Nutritional Holdings Limited and served in various roles within the Royal Bafokeng Group. He held the position as Centre Manager at the Office of the Auditor General (representative of North West Provincial Audit Committee) and was a Partner at Mokua and Associates Audit Firm. He has experience across various industries and has also lectured at the University of the North West. His board and committee positions include Astrapak, Hyprop Investments, Impala Platinum, Master Plastics, Miranda Mineral Holdings, Nutritional Holdings, RMI Holdings, South African Coal Mining Holdings and York Timber Holdings.